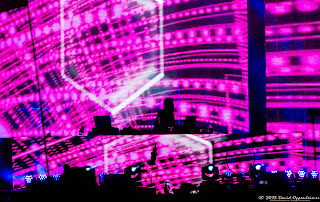 Lorin Ashton AKA Bassnectar played into the sunset on the other side of the beach from 7:30-8:45 right before Tom Petty closed out Saturday night at The Hangout Festival 2013. 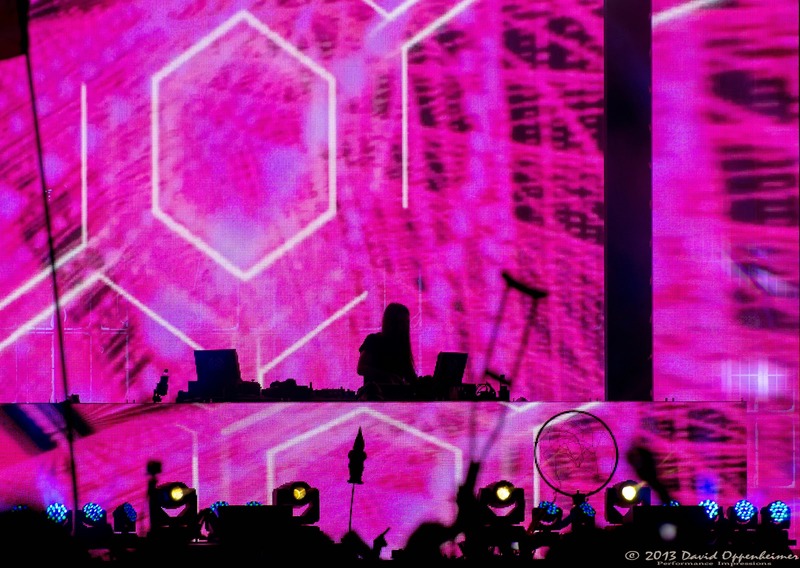 It seemed slightly odd watching Bassnectar at a festival during the daylight, but this was unavoidable at a festival where the music has to end at 11:00 PM. While the show was very high-energy and enjoyable, the first hour lacked the usual element of his profound visual spectacle because the sun subdued the normally epic light show. 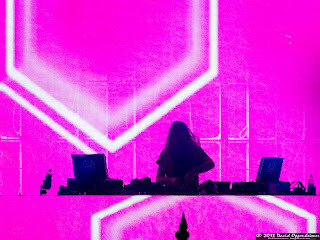 Nonetheless, he kept the crowd moving with his mix of dubstep and psychedelic breakbeats. 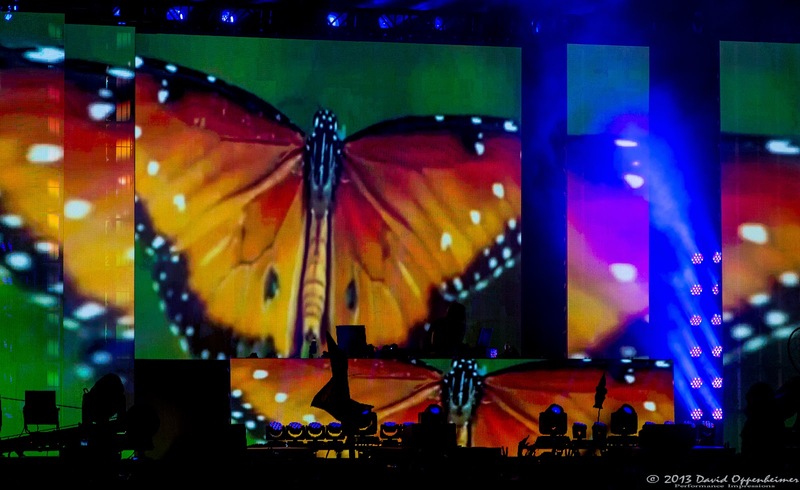 The track that stood out as the crowd favorite appeared to be a remix of Kid Cudi’s “Day N’ Nite,” which had hordes of people singing along. 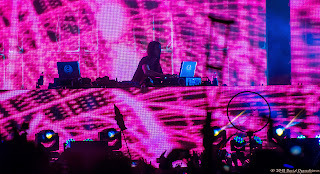 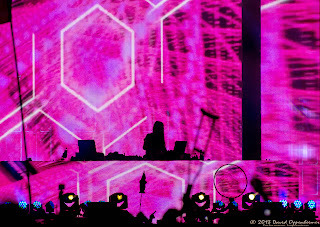 With his long black hair swinging to the beat, Bassnectar’s heavy bass oriented sounds echoed throughout the Gulf Shores. 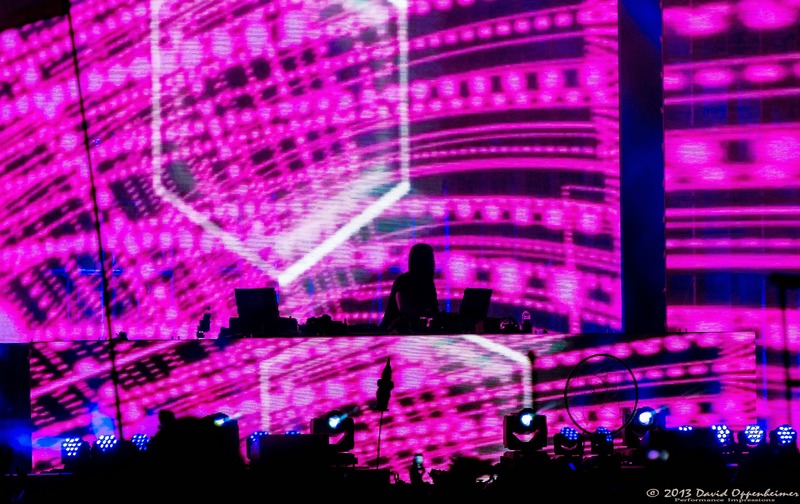 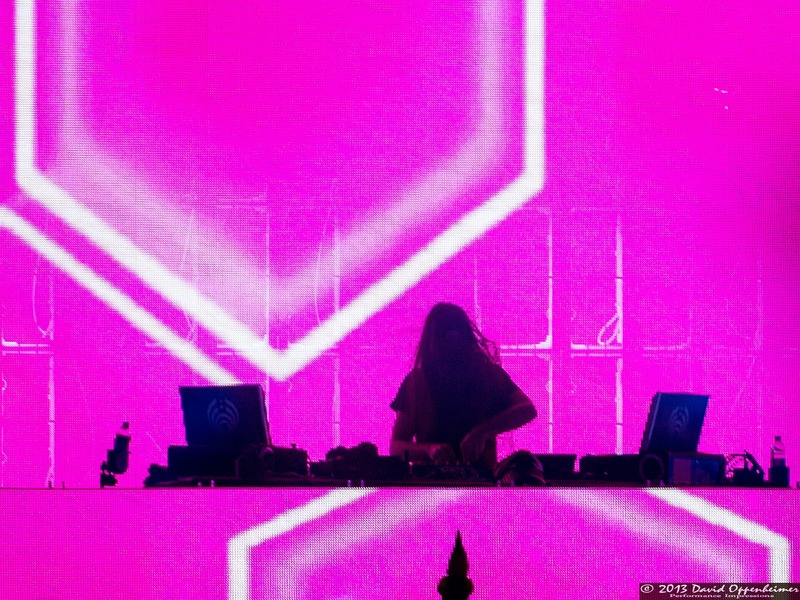 Be sure to catch Bassnectar at one of his many appearances this summer, coming to a music festival near you.